Fresh leads are fuel for your conversion funnel. Without them, your funnel will dry up and so will your revenue. If you’ve been actively creating content for a while, you should absolutely go back to some of your existing content and share it again (or update it with fresh perspectives). You can also recycle some of your high-performing eBooks and A/B test them with new titles. Ideally, some of these tests will attract new eyes to your strongest content and bring a bump in conversion rates. Need some ideas on how to reuse and recycle existing content? 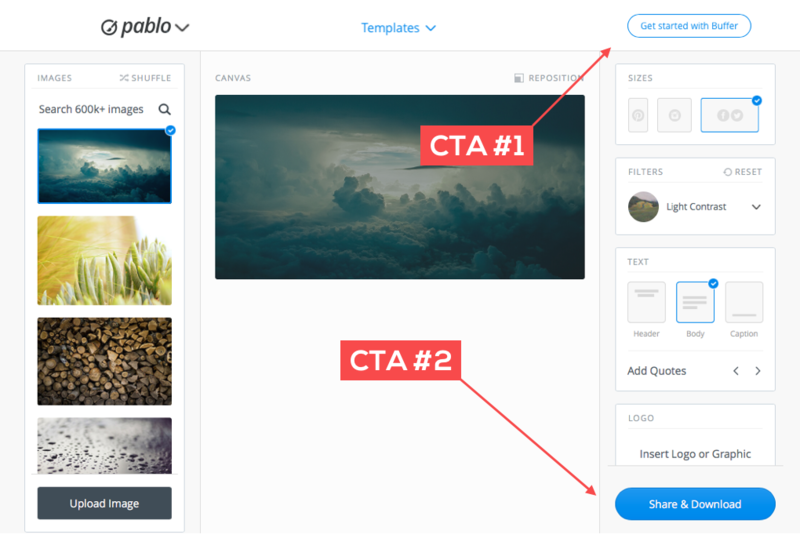 Check out our blog post for 9 ways to create content – without actually writing it. There are plenty of ways to generate leads through events. You can come as an attendee and simply network and exchange business cards or you can even run your own events through Meetup.com. Meetup.com is a great way to build a community and generate high quality leads. 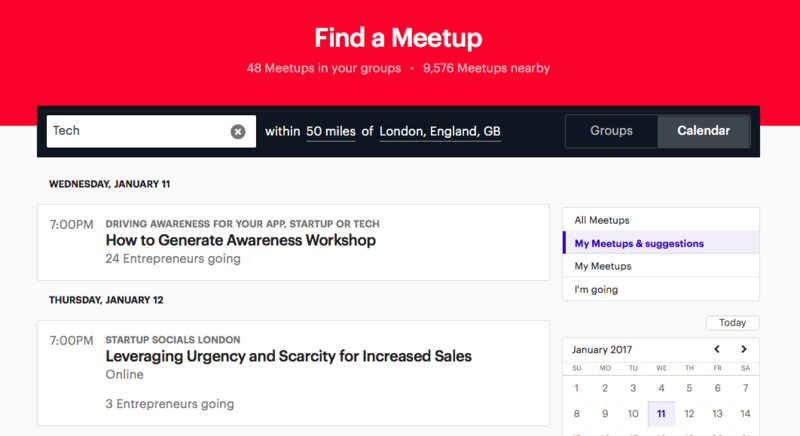 If you don’t want to go through all the hassle of starting your own meetup group, you can find popular, established meetups and sponsor them. Usually it will simply cost you some beers and pizza. If you’ve got a bigger budget and are attending a national conference or event, you can always go guerrilla and try an out-of-the-box tactic, like hijacking an event-related hashtag on Twitter, or offering free transportation at a conference – branded with your logo, of course. If you haven’t been guest blogging, you should start right now. Identify relevant blogs and publications and pitch them your original content. If you’re already an authority in your field, you can follow an even better strategy – republishing your existing content (in a unique way to avoid plagiarizing yourself) in large publications. A popular productivity blogger, James Clear, famously used this tactic to get from 0 to 250,000 visitors a month. If you recieve and send a lot of emails, use it to your advantage. You can add a CTA to your company’s email signatures and promote your recent content, a video, free trial, latest update, or free demonstration. According to Email Stats Report, the average employee sends 38 emails a day. That’s about 6000 emails a year that you could be using to your advantage. As you know, influencers generally have extensive social capital and reach. They often have notable followings and high levels of social proof. Getting an endorsement from these guys is hard but worth your time. A few creative ways to grab their attention include: roundups, ‘best of’ lists or interview requests. In an influencer roundup, you can reach out to get a short answer from various influencers for the same question to show different perspectives. ‘Best of’ lists are usually the place to start as they require zero work from the influencer and are a fantastic form of flattery that they’re likely to share. When done correctly, these pieces of content will be shared by your designated influencers, allowing you to tap into their following and help get your brand in front of your target audience. AppSumo, a daily deal website for entrepreneurs, used to be really good at this. They’ve done successful giveaways such as 100 books about entrepreneurship or a lifetime Evernote subscription. The key here is that they offer a prize is extremely valuable to their audience – not just the general population. If the prize isn’t meaningful for your ideal buyer, they have no reason to waste their time or give up their information. Likewise, if the prize is attractive to everyone, you’re going to waste time and money attracting unqualified leads. Use your marketing automation software and integrate with a tool like Optin-Monster to capture giveaway entrants on your website. Social media contest tools can also be an effective means for spreading the word about your giveaway and capturing new leads on social. There’s a world outside of Google AdWords and Facebook Ads. There are Reddit ads, StumbleUpon Ads, Instagram, Snapchat, and Twitter. You can even try offline advertising or get your ads featured on popular podcasts. Many of these channels may not have the reach you can get on the big platforms like Google and Facebook, but, if your audience is there, they could be the gold mine your small business is searching for. Set aside a small monthly budget and test different channels one at a time so that you know what’s producing results and what isn’t. Engineering as marketing is a term that was first introduced in the book “Traction” by Gabriel Weinberg and Justin Mares. It’s when you build a free product that’s relevant to your core market to generate more leads. A great example is Pablo by social media scheduling tool Buffer. It allows people to create beautiful images with quotes to share on their social media. It targets exactly the type of people that are most likely to use Buffer – social media managers. The tool is useful; thus, it gets a lot of shares and brings the right audience to Buffer. Direct customer engagement and improved customer service generates higher satisfaction, better experience, and higher quality leads. Having a live chat widget on your website is one of the best ways to directly engage with your audience. With live chat, you can immediately engage people who are browsing key pages of your website. This means that you can capture their interest and convert them before they bounce from your website. Although chatbots may feel like just another fad, in reality they can be turned into a highly valuable lead generation tool. Chatbots can help you boost engagement and direct your audience to some of your best performing content assets and lead magnets. And, since chatbots let AI do the heaving lifting, you can be there live for your prospects and customers – without hiring extra help. You can hire a developer to build your own bot or you can simply use services like Chatfuel and Smooch, which allow you to design bots with no coding involved. 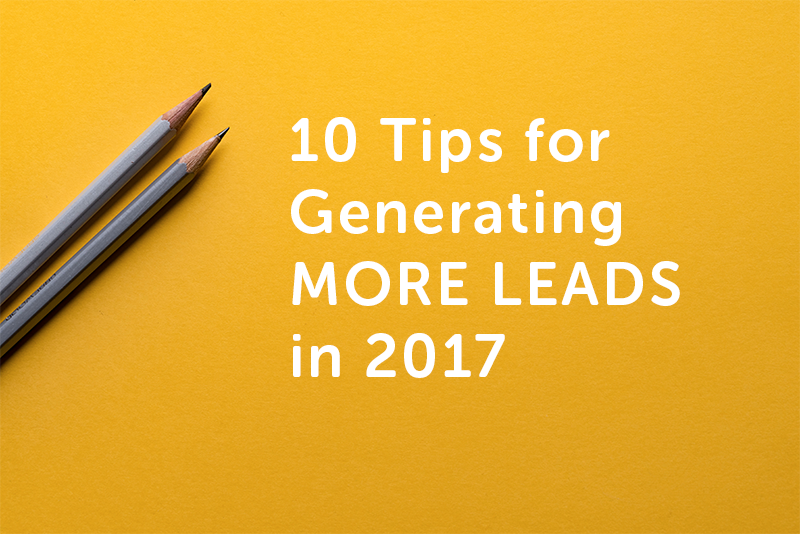 If your funnel seems dry (or even if it’s full of leads), don’t take your foot off the gas. 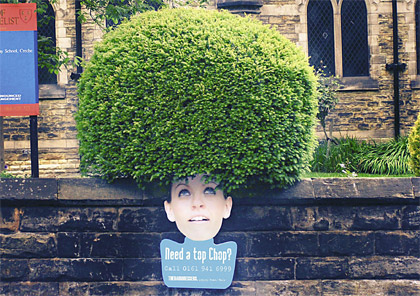 Stay creative with your lead generation efforts. You never know when your tried and true tactics will be considered old hat or won’t apply to your audience any longer.